Your Body Shop Alternative where minor damage is always Fixed Fast for Less!! 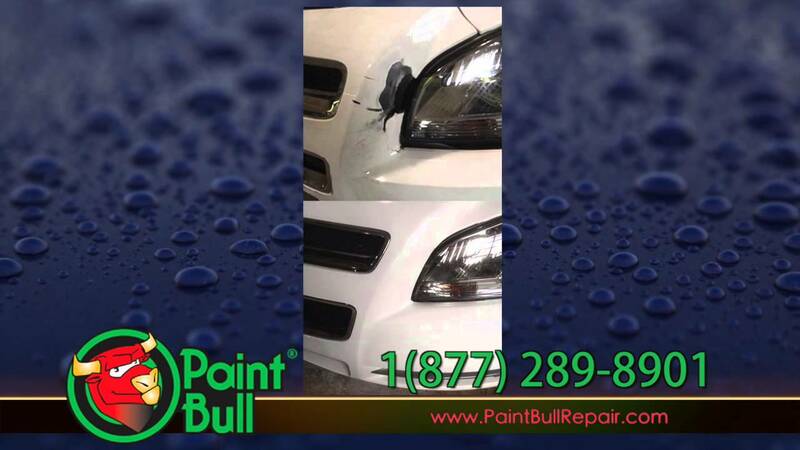 Paint Bull- known for its affordable vehicle repair services is now so much more! Paint Bull has been serving the Great Lake Bay Region for over 25 years and is exited to continue to build on our service offerings to our valued customers. While we continue to provide quality repairs on minor automotive damage at affordable prices, we now also provide services such as detailing, paint protection film installation and the latest in ceramic coating applications. We are also very proud to offer the most complete line of professional detailing products in the area. Whether you are a do-it-yourselfer, a professional detailer or just want your vehicle to look its best-Paint Bull will help you with the quality products and services you’ll need. Ceramic Detailer is a innovative spray sealant utilizing Si02 technology to add protection to your ceramic coated vehicle while creating an unmatched shine to your paint. Ceramic Detailer rejuvenates and adds a ton of protection to your coated vehicle, not to mention adds an unbelievable wet look shine! One of the biggest benefits to Ceramic Detailer is the ability to be used as a “drying aid”. Simply spray Ceramic Detailer on the rinsed off “wet” surface and dry the vehicle with a quality microfiber drying towel. Wrap Star is a detail spray for all vinyl wraps. It also works great on flat or matte paint. Not only will this product not streak your wrap, it will not add shine or gloss to your wrap. The product is formulated to maintain your wrap with ease. Jax Wax Spray & Seal is easy to use, extremely durable resin and carnauba-based liquid paint sealant. Spray & Seal can be sprayed on a dry clean surface to act as a “base” layer of protection that will easily protect your vehicle for 3-6 months. Spray & Seal can be used on paint, glass, chrome, black plastic and virtually every surface on the exterior of your vehicle. One of the added benefits of Spray & Seal is it can be used as a drying said with excellent results. The Original Easy On, Easy Off Carnauba Car Wax – Creates an Unmatched Brilliant, Durable Finish – It’s Easy to use! Creates an unmatched dazzling, reflective deep finish that enhances, protects and reconditions any kind of vehicle finish. Effortlessly wipes on and off the average size vehicle in under 30 minutes with no hazing, streaks, smears or dust – even in direct sunlight. Used day in day out by countless Auto Dealerships, Professional Detailers, Body Shops, Auto Auctions, Professional Race Teams, Auto Museums, and the most discriminating classic car owners where results matter..
Why? Because it is a Professional Product that is Easy to Apply, Easy to Wipe Offand Provides a Brilliant Showroom-Finish even when Used in the Direct Sunlight.